‘A ballet for the Bolshoi has to be done “resplendently”, with velvet costumes’, declared Sergey Prokofiev in early 1934 to a colleague who had proposed a bold scenario on a Soviet contemporary theme, ‘otherwise the public won’t come’. Prokofiev’s characteristically clear-sighted assessment of the situation in the more conservative of Russia’s two leading theatres heralded a new turn in his own work for the Soviet stage. The glory days of his experimental one-act ballets for Diaghilev’s Ballets Russes in Paris had come to an end with the death of the impresario in 1929; On the Dnieper, a music-first, plot-afterwards concoction for the company of a Diaghilev protégé, Serge Lifar, fell flat three years later. The homeland which Prokofiev had left behind for the West in 1918, and with which he had begun to make a chequered rapprochement since 1927, began to look more promising. His first Soviet projects in the early 1930s were with a freewheeling film-maker, Alexander Feinzimmer, on the satire Lieutenant Kijé, and, with a distinctly unorthodox theatre director, Alexander Tairov, On Egyptian Nights, a Cleopatra fantasy drawn from Shaw, Shakespeare and Pushkin. Ballet was bound to require a more traditional approach, but that did not necessarily exclude high artistic aims. By 1934, the drive towards reinstating western as well as Russian classics was in full swing, and one of its strongest advocates was Sergey Radlov. The Leningrad director had excellent Shakespearean credentials, including a rather outlandish Othello as well as his Studio Theatre production of Romeo and Juliet. It was a literary friend who brought Radlov together with Prokofiev, his old chess opponent, to work on a ballet version of the star-crossed lovers’ tragic tale, scheduled for Leningrad’s flagship State Academic Theatre (Prokofiev still insisted on calling it by the imperial name of Mariinsky, by which it is now known once again). Radlov wanted at first to keep too much Shakespeare; an early scenario called for 24 scene-changes. While the literary Prokofiev took his time steering his collaborator towards a workable framework, political events overtook the partnership. On 1 December 1934 the party secretary for Leningrad, Sergey Kirov, was assassinated, the pretext for a ‘crackdown on terrorism’ leading to Stalin’s wholesale purges of the entire Soviet administration later in the 1930s. Artistic enterprises in Leningrad shrivelled, the State Academic Theatre took the name of Kirov, and the project passed into the hands of Moscow’s Bolshoi Theatre. 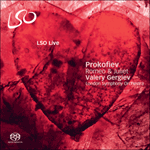 During the summer of 1935, Prokofiev worked with astonishing speed on Romeo and Juliet in the peaceful surroundings of the Bolshoi’s country retreat at Polenovo. His clockwork precision was not to be rewarded so quickly. When he played through the completed score that October, opinions were divided, and the conservatives doubted whether the score was innately danceable. Another, more curious sticking-point at further auditions in early 1936 was the proposed happy ending to the Prokofiev-Radlov scenario – Juliet stirs in the nick of time so that the dancers might have a movement-filled few minutes together – which, of course, had to be changed; but there were other reasons behind the veto, not least Stalin’s increased control over artistic matters and the rapid gear-shift to a socialist-realist cult of personality. In November 2008, Prokofiev’s score was performed at the Barbican Theatre (London) as it was originally conceived, alongside Mark Morris’s new choreography, made in tandem with Princeton scholar Simon Morrison’s reconstruction from manuscripts in Moscow archives. The original version includes several unfamiliar dances forming a kind of divertissement at the drugged Juliet’s bedside and a passage Prokofiev was later to use as the Scherzo of the Fifth Symphony for the tumult that rouses Juliet in the Capulet family vault. Curiously, the rather saccharine reconciliation music ends in the same way as the number we hear to mark Juliet’s suicide, allowing Morris an ambiguous ending. The only public life that Prokofiev’s ballet enjoyed over the few years following 1936 was in the form of the two concert suites he had put together. A barely-noted premiere took place in Brno at the end of 1938; but the big event was the first Soviet performance, back at the Kirov (Mariinsky), in January 1940. After much justified pessimism over the ballet’s future, Prokofiev had been persuaded to work with the choreographer Leonid Lavrovsky and even to provide a few extra numbers, shearing the others mentioned above. Rehearsals had been far from plain sailing; as before, the dancers complained that the orchestration was inaudibly refined in places, and Galina Ulanova, the outstanding creator of the role of Juliet, was among them. She soon changed her tune. The instant classic that Romeo and Juliet became was not without its ‘improvers’; accepted into the Bolshoi repertoire, it was promptly reorchestrated by the percussionist and remained that way for decades. Now, however, with such unassailable classics as Kenneth MacMillan’s choreography for London’s Royal Ballet and a painstaking refreshment of tradition at the Mariinsky Theatre, Romeo and Juliet is back in caring hands. Introduction: Three significant themes insist this is Romeo and Juliet, not Montagues and Capulets. The first one sighs for the ‘misadventur’d piteous overthrows’ Shakespeare has in store for his lovers, artfully taking just a phrase from Tchaikovsky’s celebrated love theme and transforming it. This contrasts with the simple elegance of Juliet the young girl and a preview of requited love floating starry-eyed above muted strings. Romeo: The curtain rises on Romeo, pensive in the dewy freshness of a Veronese early morning, reaching out for his idealised Rosaline in a wide-ranging clarinet theme; only the three magical chords at the end will survive his acquaintance with true love. The street awakens; Morning dance; The quarrel; The fight: Civic life stirs to a strutting ditty, memorably transcribed in Prokofiev’s set of piano pieces drawn from the ballet. Its furtive transformation in a lively dance, added in the revision, is vigorously chased by six virile horns. The ensuing dispute between the rival households of Montagues and Capulets is inevitable. Its scoring is edgier, all shrill chords, timpani tattoos and lower strings threatening sul ponticello (near the bridge of the instrument). Anger explodes in a hell-for-leather skirmish with fly-away violins thrice separated by a canon of heavy brass until an alarm bell joins the fray and the Duke of Verona makes an authoritative entry. The Duke’s command; Interlude: His order – no more fighting on pain of death – twice meets aggression with iron resolve (massive dissonances, daring for Soviet ballet in the mid-1930s) and the olive branch of peace (soft string chords). A pompous Andante introduces a stage band to join the orchestral brass in what sounds like a parody of military might. Preparations for the ball: The scene changes to preparations for the ball chez Capulet, and textures lighten. More street bustle meets a new, swaying theme for Juliet’s nurse; just a hint of her charge’s idiom suggests that she was young once, too. Juliet the young girl: The 14-year-old Juliet Capulet’s playfulness is captured in skittish violin scales and wayward woodwind harmonies; her gracious theme is varied from its first appearance in the introduction, and her seriousness takes us by surprise in an unaccompanied flute duet followed by a delicate reverie. A brief concluding phrase for cellos and cor anglais hints at heartache ahead. Arrival of the guests: Lights blaze on the ballroom as the invitees strut to the strains of a garish, lofty minuet with a placid cornet solo at its heart. Masks: Three more wayward visitors parade to the glitter of a percussion battery – Romeo, Benvolio and the sardonic Mercutio (cornet, clarinet and oboe solos), concealing their Montague identity. Romeo’s dreamy chords dissolve the mockery. Dance of the Knights: Pomp and satire give way to violence in the Knights’ Dance, familiar from its title ‘Montagues and Capulets’ in the Second Orchestral Suite. Its striding arpeggios frame the eerie ritual of the suitor Paris’s dance with a reticent Juliet. Juliet’s variation: One of the additional numbers for Lavrovsky in 1939–40, removed from the original finale. Juliet shrugs off her reluctance with elegant variations on her themes. Mercutio: The joker in the Montague pack diverts attention with a capricious interplay of energetic comedy and grotesquerie (a pawky solo for bassoon, typical of Prokofiev in sarcastic mode). Madrigal: Love at first sight between Romeo and Juliet is quick to flare, rising from pure beginnings to the heights of the great love-theme, heard for the first time. Tybalt recognises Romeo: Juliet’s cousin, Tybalt, angrily taking up the Knights’ most brutal gesture, has to be restrained from provoking a quarrel with an unresponsive Romeo. Gavotte: The party is over, and the scenery is usually changed to an extended version of the third movement (much more succinct in its original context) from Prokofiev’s 1917 masterpiece the ‘Classical’ Symphony. Balcony scene; Romeo’s variation; Romeo and Juliet’s love dance: Romeo’s enchanted chords now preface a glowing nocturne. A chamber organ solemnises the music of the Madrigal as Juliet returns for a lost token (no balcony, this, in the original scenario) and is surprised by Romeo lurking in the shadows. Their love-dance begins with amorously sighing horns and is briefly interrupted by a leaping variation on Romeo’s ardour – a perhaps unnecessary addition, also taken from the original happy ending in 1939–40, so, of course, nowhere to be found in the number from the First Suite – before passion flows untramelled in a sequence of richly-scored melodies and sinks back to its muted, magical starting-point. Folk dance; Romeo and Mercutio; Dance of the five couples: It’s time for Prokofiev to give the corps de ballet a lively chance with street festivities: a tarantella folk-dance and a keenly-accented number interrupted by a brass band procession, the two broken up by an exchange between lovestruck Romeo and teasing Mercutio. The nurse; The nurse delivers; Juliet’s letter to Romeo: The waddling go-between arrives with a letter for Romeo, airily extending her repertoire of bustles and informing us musically of the sender’s identity. Romeo at Friar Laurence’s; Juliet at Friar Laurence’s: The goodly friar greets Romeo in his cell, a portrait in dignified lower-range colours with special humanity from the divided violas and cellos. A radiant new flute theme announces Juliet, all in white, and a bittersweet secret wedding follows. The people continue to make merry; Further public festivities: Lavrovsky in 1939 wanted to extend the crowd-music – perhaps the only weakness in the revision. Prokofiev resorted to perfectly decent cut-and-paste reprises, perhaps the only unnecessary numbers in the ballet. Meeting of Tybalt and Mercutio; Tybalt and Mercutio fight; Death of Mercutio; Romeo decides to avenge Mercutio’s death; Finale: The street music has put us off our guard for the sudden flaring of now-familiar Capulet aggression as Tybalt goads Mercutio. Romeo pleads for restraint with his themes of new-found grace, but Mercutio’s spirit is up as he gives a dangerous reprise of his party-piece, cut short by a sword-thrust from Tybalt. Shuddering and sharing jokey reminiscences, Mercutio meets a characteristic death. Capulet violence infects Romeo Montague and the next fight is on to a heightened reprise of No 6; this time Tybalt falls, to 15 massive orchestral thuds. His body is raised aloft to the strains of an orchestral funeral march, searing in the unrelieved intensity of the brass counterpoint. Introduction; Romeo and Juliet; The last farewell: Despite the strategic return of the Duke’s discordant command, warning us that Romeo now faces the death penalty, most of Act Three is chamber-like in its delicacy. Romeo has passed the night in Juliet’s bedroom. The dignified flute theme from Friar Laurence’s cell now heralds the morning lark as the lovers face their sweetly sorrowful parting. Horn and clarinet share a new idea as they mourn the passing of time before first raptures are poetically remembered by the fragile tones of the viola d’amore. Passion flares up again and dies with Romeo’s departure. The nurse; Juliet refuses to marry Paris: Juliet sees the new arrivals in the room through a mist – the nurse, her parents, Paris with his offer of marriage (solo-string echoes of the Minuet). Her protests mix her old impetuousness with a new, lamenting cello phrase and a tragic version of the once-radiant flute duet; but her father insists, with the usual Capulet threats. Juliet alone; Interlude; At Friar Laurence’s cell; Interlude; Juliet’s bedroom; Juliet alone: Left to cool down in her bedroom, Juliet can think only of Romeo and a massive orchestral development of the ‘parting’ music marks her decision that she cannot live without him. She visits Friar Laurence, who darkly accepts her predicament and offers her a death-simulating potion. Four constantly repeated rising notes convey its creeping effect and the lowest instruments of the orchestra rear up in a prophecy of Juliet’s death. Tragedy and threats carry another interlude and back in her room, Juliet goes through the motions of accepting Paris (more reprises). Once alone, she takes the potion; the same two chords which followed Mercutio’s death suggest the fatal effect its discovery will have on Romeo. Aubade; Dance of the young girls with lilies: Two numbers – four in the original 1935 version – divert but sustain the intimate mood. This is a more restrained dance with mandolins and violin obbligato, and a graceful but oddly sad number for girls bringing lilies to the bride-to-be (originally exotic dancers from the Antilles). At Juliet’s bedside: The nurse enters to waken Juliet, trumpets introduce a note of doubt and the ‘death’ is discovered. High violins play a requiem version of Juliet’s most solemn and transfigured melody. Juliet’s funeral; Death of Juliet: Prokofiev’s Epilogue in his extensive revision sheds Shakespeare’s multiple incidents at the Capulet vault and brings a harrowing focus to the lovers’ endgame. Juliet’s death-motif, subjected to an ever more forceful, heavily-scored funeral processional, brings with it Romeo’s suicide, and her transfigured theme, sorrowful as she wakes, soars in an accepting apotheosis before she stabs herself and dies in his arms. A lone cor anglais announces that ‘never was a story of more woe / Than this of Juliet and her Romeo’ before the last, transfigured chord brings down the curtain. «Un ballet pour le Bolchoï doit être réalisé fastueusement, avec des costumes de velours», déclara Sergueï Prokofiev au début de l’année 1934 à un collègue qui lui avait proposé un scénario hardi sur un sujet soviétique contemporain, «sinon, le public ne viendra pas». Prokofiev analyse avec sa clareté de vue habituelle la situation régnant dans le plus conservateur des deux principaux théâtres russes; et cela entraînera un tournant dans son propre travail pour la scène soviétique. Les jours glorieux des ballets en un acte qu’il avait composés pour les Ballets russes de Diaghilev à Paris s’étaient refermés avec la mort de l’impresario en 1929; Sur le Dniepr, dont il avait concocté la musique, puis l’argument pour la compagnie d’un protégé de Diaghilev, Serge Lifar, avait chuté trois ans plus tard. La patrie que Prokofiev avait quittée en 1918 pour l’Ouest, et avec laquelle il avait mené des tentatives de rapprochement plus ou moins couronnées de succès depuis 1927, commençait à se montrer plus prometteuse. Ses premiers projets soviétiques, au début des années 1930, furent la satire Lieutenant Kijé, réalisée avec un cinéaste indépendant, Alexander Feinzimmer, et Nuits égyptiennes, une fantaisie sur le sujet de Cléopâtre inspirée par Shaw, Shakespeare et Pouchkine, en collaboration avec un directeur clairement hors de la ligne du parti, Alexander Tairov. Le ballet se devait de revenir à une conception plus conventionnelle, mais cela n’excluait nullement des desseins artistiques élevés. En 1934, la tendance à réinscrire les classiques occidentaux et russes au répertoire était à son maximum, et l’un de leurs plus fervents défenseurs était Sergueï Radlov. Le metteur en scène léningradois avait d’excellentes références shakespeariennes, notamment un Othello assez singulier, ainsi qu’une production de Roméo et Juliette dans son Théâtre Studio. C’est un ami homme de lettres qui mit Radlov en relation avec Prokofiev, son ancien adversaire aux échecs, afin qu’ils collaborent à un ballet sur la tragique histoire des amants maudits, programmée dans le vaisseau amiral de Leningrad, le Théâtre académique d’Etat (Prokofiev continuait d’insister pour l’appeler de son nom impérial, Mariinski, sous lequel on le connaît à nouveau). Au départ, Radlov voulut rester trop fidèle à Shakespeare ; le premier scénario nécessitait vingt-quatre changements de décor. Tandis qu’en homme lettré Prokofiev prenait son temps pour amener Radlov à un cadre plus exploitable, les événements politiques prirent les deux collaborateurs de cours. Le 1er décembre 1934, le secrétaire du parti à Leningrad, Sergueï Kirov, était assassiné, ce qui offrait le prétexte à des «mesures sévères contre le terrorisme», qui engendreraient, plus tard dans les années 1930, les purges massives menées par Staline dans toute l’administration soviétique. Les entreprises artistiques se réduisirent comme peau de chagrin à Leningrad, le Théâtre académique d’Etat prit le nom de Kirov, et le projet passa aux mains du Théâtre Bolchoï de Moscou. Au cours de l’été 1935, Prokofiev avança Roméo et Juliette à une vitesse étonnante, dans l’environnement paisible d’une retraite campagnarde du Bolchoï, à Polenovo. Sa précision d’horloger ne serait pas récompensée avec la même rapidité. Lorsqu’il joua la partition complète, au mois d’octobre suivant, il divisa les opinions, et les conservateurs émirent des doutes sur la capacité du ballet à être dansé. Un autre point de désaccord, plus inattendu, surgit lors d’auditions ultérieures, au début de 1936; il s’agissait de la fin heureuse ménagée par le scénario de Prokofiev et Radlov (Juliette remue juste à temps pour que les danseurs puissent avoir ensemble quelques minutes en mouvement), qui dut bien sûr être modifiée. Mais il y avait d’autres raisons derrière le veto qui frappa l’œuvre, en particulier le contrôle croissant exercé par Staline sur les affaires artistiques et la rapide montée en puissance du culte réaliste-socialiste de la personnalité. En novembre 2008, la partition de Prokofiev fut exécutée, dans sa conception originale, au Barbican Theatre, à Londres. Mark Morris en régla la chorégraphie, en même temps que Simon Morrison, spécialiste exerçant à l’université Princeton, reconstruisait la partition d’après les manuscrits des archives moscovites. La version originale comporte plusieurs danses peu connues, formant une sorte de divertissement au chevet de Juliette droguée, et un passage illustrant le tumulte qui réveille Juliette dans le caveau familial des Capulets, que Prokofiev reprendrait plus tard comme Scherzo de la Cinquième Symphonie. Curieusement, cette réconciliation passablement à l’eau de rose se termine musicalement de la même manière que le numéro accompagnant le suicide de Juliette, ce qui a autorisé Morris à ménager une fin ambiguë. Dans les années qui suivirent 1936, le ballet de Prokofiev ne rencontra le public qu’au travers des deux suites d’orchestre qu’il avait constituées, sélectionnant des numéros replacés dans un ordre assez différent et, pour certains d’entre eux, orchestrés d’une manière assez éloignée de ce l’on peut entendre dans cet enregistrement. Une création confidentielle du ballet eut lieu à Brno fin 1938; mais le grand événement fut la première représentation en Union soviétique, dans le Kirov (Mariinski) retrouvé, en janvier 1940. Après un pessimisme tout à fait justifié quant à l’avenir de l’ouvrage, Prokofiev s’était laissé persuader de collaborer avec le chorégraphe Léonid Lavrovski et même de composer quelques numéros supplémentaires, tout en coupant ceux mentionnés plus haut. Les répétitions ne furent pas un long fleuve tranquille, loin de là; comme auparavant, certains danseurs se plaignirent que l’orchestration de certains passages soit raffinée jusqu’à l’inaudible, et Galina Oulanova, l’extraordinaire créatrice du rôle de Juliette, figurait à leur nombre. Elle changea bientôt de discours. En devenant instantanément un classique, Roméo et Juliette n’échappa pas à quelques «améliorations»; inscrit au répertoire du Bolchoï, le ballet fut réorchestré par le percussionniste et présenté sous cette forme pendant des décennies. Aujourd’hui, toutefois, avec des classiques aussi irréfutables que la chorégraphie de Kenneth MacMillan pour le Ballet royal de Londres et un rafraîchissement méticuleux de la tradition au Théâtre Mariinski, Roméo et Juliette est repassé entre des mains bienveillantes. Valery Gergiev a fait une démarche courageuse en sortant la partition intégrale de la scène pour la faire entrer dans la salle de concert, obtenant un succès foudroyant avec son Orchestre du Mariinski à Edimbourg et avec l’Orchestre philharmonique de Rotterdam. Il offre ainsi au drame musical de Prokofiev la possibilité d’exister par lui-même, honneur auquel seuls Le Lac des cygnes, La Belle au bois dormant et Casse-Noisette de Tchaïkovski avaient eu droit jusqu’alors. Introduction: Trois thèmes importants expriment avec insistence qu’il s’agit de Roméo et Juliette, et non des Capulets et des Montaigus. Le premier soupire à l’idée du «malheureux et pitoyable écroulement» que Shakespeare prépare à ses amants, reprenant habilement une phrase du célèbre thème d’amour de Tchaïkovski et la transformant. Cela contraste avec l’élégance simple de la jeune Juliette et la préfiguration de l’amour récompensé flottant, dans un éblouissement, sur des cordes avec sourdine. Roméo: Le rideau se lève sur Roméo, pensif dans la fraîcheur baignée de rosée d’un petit matin véronais, qui cherche à atteindre la figure idéalisée de Rosaline au son d’un ample thème de clarinette; seuls les trios accords magiques de la fin survivront à sa rencontre avec le véritable amour. La rue s’éveille; Danse du matin; La dispute; La bataille: La vie urbaine s’anime au son d’une fière comptine, dont Prokofiev a fait une transcription mémorable dans le recueil de pièces pour piano tirées du ballet. Sa transformation furtive en une danse vive, ajoutée lors de la révision, est chassée vigoureusement par six cors virils. La dispute qui s’ensuit entre les deux familles rivales des Montaigus et des Capulets est inévitable. L’orchestration est plus angoissée, toute en accords stridents, en battements de timbales et en sonorités de cordes menaçantes sul ponticello (près du chevalet de l’instrument). La colère explose en une bataille échevelée avec des échappées de violon séparées à trois reprises par un lourd canon de cuivres, jusqu’à ce que le tocsin s’ajoute à la mêlée et que le Duc de Vérone fasse une entée autoritaire. Le Prince prononce son arrêt; Interlude: L’arrêt – plus de combat sous peine de mort – debouche à deux reprises sur une agression résolue par les armes (dissonances massives, audacieuses pour un ballet soviétique au milieu des années 1930) et le rameau d’olivier de la paix (doux accords de cordes). Un Andante pompeux invite une fanfare à se joindre sur scène aux cuivres de l’orchestre, dans ce qui sonne comme une parodie de la puissance militaire. On se prépare au bal: Le décor change et l’on découvre les préparatifs du bal chez les Capulets, tandis que la musique se fait plus lumineuse. L’animation de la rue s’ajoute à un nouveau thème berçant, celui de la nourrice de Juliette; cette légère touche idiomatique évoquant sa profession suggère qu’elle fut jeune elle aussi, autrefois. Juliette jeune fille: L’espièglerie de Juliette, jeune fille de quatorze ans, est traduite par des gammes malicieuses aux violons et des harmonies capricieuses aux vents ; son thème gracieux est varié dès sa première apparition dans l’introduction, et son sérieux nous prend par surprise sous la forme d’un duo de flûtes non accompagnées, suivi d’une rêverie délicate. Une brève phrase conclusive aux violoncelles et au cor anglais fait allusion à ses chagrins futurs. Arrivée des invités: La lumière inonde la salle de bal tandis que les invites se pavanent au son d’un menuet tape-à-l’œil, hautain, avec en son milieu un solo de cornet placide. Masques: Trois nouveaux invités imprévus paradent dans le scintillement de la batterie de percussions – Roméo, Benvolio et le sardonique Mercutio (cornet, clarinette et hautbois solos) – qui dissimulent leur identité de Montaigus. Les accords rêveurs de Roméo dissipent la moquerie. Danse des Chevaliers: La pompe et la satire laissent place à la violence dans la «Danse des Chevaliers», plus connue sous le titre qu’elle prend dans la Suite d’orchestre n° 2: «Les Montaigus et les Capulets». Les vastes arpèges entourent le rituel sinistre de Paris, qui tente de séduire par la danse une Juliette réticente. Variation de Juliette: C’est l’un des numéros ajoutés pour Lavrovski en 1939–1940, écarté du finale original. Juliette évacue sa répugnance au son d’élégantes variations sur son propre thème. Mercutio: Le plaisantin de la bande des Montaigus détourne l’attention avec un intermède capricieux, d’une drôlerie et d’un grotesque vivifiants (un piquant solo de basson, typique de la veine sarcastique de Prokofiev). Madrigal: Le coup de foudre entre Roméo et Juliette se développe rapidement, croissant de sa pureté initiale jusqu’au grand thème d’amour, que l’on entend pour la première fois. Tybalt reconnaît Roméo: Le cousin de Juliette, Tybalt, adoptant la manière la plus brutale des Chevaliers, doit être retenu lorsqu’il tente de provoquer une bagarre avec Roméo, impassible. Gavotte: La fête est terminée, et le décor change traditionnellement pour cette version développée du troisième mouvement (beaucoup plus succinct dans son contexte original) de la Symphonie «Classique», chef-d’œuvre composé par Prokofiev en 1917. Scène du balcon; Variation de Roméo; Danse d’amour de Roméo et Juliette: Les accords magiques de Roméo préludent à un nocturne radieux. L’orgue positif donne un air solennel à la musique du «Madrigal», tandis que Juliette revient chercher un jeton perdu (pas de scène du balcon, donc, dans le scénario original) et qu’elle est surprise par Roméo tapi dans l’ombre. Leur «Danse d’amour» commence avec des cors soupirant amoureusement. Elle est brièvement interrompue par une variation bondissante sur l’ardeur de Roméo – un ajout peut-être inutile, lui aussi issu du dénouement original heureux de 1939–1940, et absent bien sûr dans le numéro équivalent de la Première Suite; puis la passion se déploie sans barrières dans une succession de mélodies richement orchestrée et s’évanouit pour retourner à la magie du murmure initial. Danse populaire; Roméo et Mercutio; Danse des cinq couples: Il est temps, pour Prokofiev, d’offrir au corps de ballet l’occasion de danses joyeuses, sous la forme de réjouissances de rue: une danse populaire en forme de tarentelle et un numéro aux accents vigoureux, interrompu par la procession d’une fanfare; ces deux morceaux sont entrecoupés par l’échange entre Roméo, transi d’amour, et Mercutio qui le taquine. La nourrice; La nourrice remet à Roméo le billet de Juliette: L’entremetteuse arrive en se dandinant, porteuse d’une lettre pour Roméo; cette manière inédite de se déplacer, plus légère, nous informe en musique sur l’identité de l’expéditrice. Roméo chez Frère Laurent; Juliette chez Frère Laurent: Le bon frère accueille Roméo dans sa cellule; son portrait est brossé dans des couleurs nobles et un registre grave, et les altos et violoncelles divisés y apportent une touche particulière d’humanité. Un nouveau thème radieux, à la flûte, annonce l’entrée de Juliette, toute de blanc vêtue, et on célèbre bientôt un mariage secret au goût doux-amer. Les réjouissances populaires continuent; Nouvelles réjouissances populaires: En 1939, Lavrovski voulut développer la musique dédiée à la foule – peut-être est-ce la seule faiblesse de la révision. Prokofiev eut recours à des couper-coller tout à fait habiles, mais ces morceaux sont peut-être les seuls du ballet sans véritable nécessité. Tybalt rencontre Mercutio; Combat de Tybalt et Mercutio; Mort de Mercutio; Roméo decide de venger la mort de Mercutio; Finale: Après cette musique de la rue, le déploiement soudain du motif agressif des Capulets, désormais familier, nous prend au dépourvu: Tybalt titille Mercutio. Roméo appelle au calme, et ses thèmes ont une grace nouvelle; mais l’esprit de Mercutio est échauffé, et le danger de la situation s’exprime au travers d’une reprise dangereuse de sa musique de la fête, interrompue par un coup d’épée de Tybalt. Tressaillant et partageant des souvenirs comiques, Mercutio trouve la mort de manière caractéristique. La violence des Capulets finit par contaminer Roméo Montaigu, et la bagarre suivante se déroule au son d’une reprise intensifiée du N° 6; cette fois, c’est Tybalt qui tombe, tandis que retentissent quinze accords sourds et massifs dans l’orchestre. La dépouille est portée aux accents d’une marche funèbre orchestrale, marquée par l’intensité continue d’une contrepoint de cuivres. Introduction; Roméo et Juliette; Les derniers adieux: Malgré le retour stratégique de l’ordre discordant du Duc, nous informant que Roméo doit maintenant affronter la peine de mort, l’acte III a généralement la délicatesse de la musique de chambre. Roméo a passé la nuit auprès de Juliette. Le noble thème de la cellule de Frère Laurent annonce à présent l’alouette du matin, tandis que les amants doivent à présent se dire tristement et tendrement adieu. Le cor et la clarinette partagent une nouvelle idée musicale, regret du temps qui passe, avant que les sonorités délicates de la viole d’amour ne rappellent avec poésie les premiers ravissements. La passion s’épanouit une fois encore, puis s’éteint avec le départ de Roméo. La nourrice; Juliette refuse d’épouser Paris: Dans un brouillard, Juliette voit de nouveaux arrivants dans sa chambre – ses parents, la nourrice, Paris qui la demande en mariage (échos du Menuet aux cordes solistes). Ses protestations sont un mélange de son ancienne impétuosité avec une nouvelle phrase plaintive de violoncelle et une version tragique du duo de flûtes jadis radieux; mais son père insiste, au son des menaces usuelles des Capulets. Juliette seule; Interlude; Chez Frère Laurent; Interlude; La chambre de Juliette; Juliette seule: On laisse Juliette se calmer dans sa chambre, mais elle ne peut détourner ses pensées de Roméo. Un développement orchestral massif de la musique de la «séparation» marque sa décision: elle ne peut vivre sans lui. Elle rend visite à Frère Laurent, qui se résigne sombrement à une décision difficile et lui offre une potion simulant la mort. Quatre notes ascendants répétées avec obstination traduisent l’effet insidieux du philtre, et les instruments les plus graves de l’orchestre se cabrent dans une prémonition de la mort de Juliette. La tragédie et les menaces amènent un nouvel interlude et, de retour dans sa chambre, Juliette accepte comme un automate la demande Paris (nouvelles répétitions). Une fois seule, elle avale le breuvage; le retour des deux accords qui suivaient la mort de Mercutio suggère l’effet fatal que la découverte de cette potion produira sur Roméo. Aubade; Danse des jeunes filles aux lys: Deux numéros – quatre dans la version originale de 1935 – font diversion tout en restant dans le climat intimiste. Il s’agit d’une danse très continue avec mandolines et violon obligé, et d’un numéro gracieux mais singulièrement triste où des jeunes filles apportent des lys à la future mariée (il s’agissait à l’origine de danseurs exotiques venus des Antilles). Au chevet de Juliette: La Nourrice entre pour éveiller Juliette, des trompettes introduisent une pointe de doute et la «mort» est découverte. Des violons jouent dans l’aigu une version funèbre de la mélodie très solennelle et transfigurée de Juliette. Funérailles de Juliette; Mort de Juliette: Dans son ample version révisée, l’Epilogue de Prokofiev élimine les multiples péripéties placées par Shakespeare au caveau des Capulets et braque les projecteurs sur la fin déchirante des deux amants. Le motif de la mort de Juliette, transformé en une procession funèbre encore plus puissante et pesante dans son orchestration, conduit au suicide de Roméo; et le thème transfiguré de la jeune fille, empli de chagrin à son éveil, jaillit en une apothéose résignée, avant qu’elle se poignarde et meure dans ses bras. Un cor anglais solitaire proclame que «Jamais il ne fut histoire plus malheureuse / Que celle de Juliette et de son Roméo»; puis le dernier accord, transfiguré, accompagne la chute du rideau. „Ein Ballett für das Bolschoitheater muss ‚prächtig‘ inszeniert sein, mit Samtkostümen“, erklärte Sergej Prokofjew zu Beginn des Jahres 1934 einem Kollegen, der ein gewagtes Ballettlibretto über ein zeitgenössisches sowjetisches Thema vorgeschlagen hatte, „sonst kommt das Problikum nicht“. Prokofjews typisch scharfsichtige Einschätzung der Situation im konservativeren Haus der beiden führenden Theater Russlands kündigte einen Wendepunkt in der Arbeit des Komponisten für die sowjetischen Bühnen an. Die glorreichen Tage seiner experimentellen einaktigen Werke für Djaghilews Ballets Russes in Paris waren 1929 mit dem Tod des Impresarios zu einem Abschluss gekommen. Am Dnepr, ein Gebräu im Stile von zuerst-Musik-dann-Handlung für das Ensemble des Djaghilewprotegés Serge Lifar, fiel drei Jahre später durch. Das Heimatland, das der ab 1918 im Westen lebende Prokofjew hinter sich gelassen hatte und dem er sich seit 1927 wieder mit gemischten Gefühlen näherte, sah zunehmend vielversprechend aus. Seine ersten sowjetischen Projekte in den frühen 1930er Jahren waren mit dem ungezwungenen Filmemacher Alexander Feinzimmer (über die Satire Leutnant Kische) und dem eindeutig unorthodoxen Theaterdirektor Alexander Tairow (Ägyptische Nächte, eine sich an Shaw, Shakespeare und Puschkin orientierende Fantasie über das Cleopatrathema). Ein Ballett forderte wohl einen traditionelleren Ansatz, was nicht unbedingt hohe künstlerische Ambitionen ausschloss. 1934 war der Trend zur Wiederbelebung westlicher und russischer Klassiker in vollem Gange, und einer der stärksten Aktöre war Sergej Radlow. Der Leningrader Theaterdirektor konnte auf ausgezeichnete Erfarungen mit Shakespeare verweisen, wie zum Beispiel auf einen ziemlich ausgefallenen Othello und eine Kammertheaterinszenierung von Romeo und Julia. Ein Freund aus Literaturkreisen, der mit Prokofjew Schach gespielt hatte, stellte Radlow den Komponisten vor und initiierte eine Zusammenarbeit der beiden an einer Ballettfassung der tragischen Geschichte über die unglückseligen Liebenden. Die Aufführung des Balletts plante man für das Leningrader Vorzeigetheater, das Staatliche Akademische Opern- und Baletttheater (Prokofjew bestand immer noch darauf, das Haus bei seinem im Zarenreich geläufigen Namen, Mariinskitheater, zu nennen, unter dem es auch jetzt wieder bekannt ist). Radlow wollte zuerst zu viel Shakespeare beibehalten. Ein frühes Ballettlibretto forderte 24 Szenenwechsel. Während sich der belesene Prokofjew Zeit ließ, seinen Mitarbeiter von einem praktibleren Handlungsaufbau zu überzeugen, wurde die Zusammenarbeit von den politischen Ereignissen überrollt. Am 1. Dezember 1934 fiel der Parteisekretär für Leningrad, Sergej Kirow, einem Mordanschlag zum Opfer und lieferte damit den Vorwand für eine „Bekämpfung des Terrorismus“, die in den späten 1930er Jahren zu Stalins umfassender Purgierung der gesamten sowjetischen Verwaltung führte. Künstlerische Pläne in Leningrad schrumpften drastisch, das Staatliche Akademische Opern- und Balletttheater nahm den Namen Kirow an, und das Projekt landete in den Händen des Moskauer Bolschoitheaters. Im Sommer 1935 komponierte Prokofjew in der friedlichen Umgebung des zum Bolschoitheater gehörenden Gästehauses in Polenowo Romeo und Julia mit erstaunlicher Geschwindigkeit. Die Arbeitsdisziplin des Komponisten sollte bei der Umsetzung im Theater nicht so schnell belohnt werden. Als er in jenem Oktober die komplette Partitur vorstellte, schieden sich die Geister, und die Konservativen zweifelten, ob man zur Music überhaupt tanzen könne. Ein weiterer Stoplerstein bei den darauf folgenden Vorspielen zu Beginn des Jahres 1936 war das vorgeschlagene merwürdige Happyend im Prokofjew- Radlow-Libretto – dort bewegt sich Julia im letzten Moment, damit die Tänzer ein paar Minuten zum gemeinsamen Tanzen haben mögen – was natürlich geändert werden musste. Aber es gab auch andere Gründe für das Veto, nicht zuletzt Stalins verstärkte Überwachung künstlerischer Angelegenheiten und die rasante Umschaltung auf einen sozialistischrealistischen Personenkult. Im November 2008 wurde Prokofjews Partitur im Barbican Theatre, London aufgeführt, wie sie ursprünglich konzipiert war, zusammen mit Mark Morris‘ neuer Choreographie, erstellt unter Bezugnahme auf eine von Manuskripten aus Moskauer Archiven gespeisten Rekonstruktion durch den Princetongelehrten Simon Morrison. Die Originalfassung enthält einige unbekannte Tänze, die eine Art Divertissement am Bett der betäubten Julia sowie eine Passage bilden, die für die Aufregung sorgt, damit Julia in der Familiengruft aufwacht (und die Prokofjew später als Scherzo seiner 5. Sinfonie wiederverwenden sollte). Merkwürdigerweise endet die ziemlich zuckersüße Versöhnungsmusik auf die gleiche Weise wie die Nummer, die man zur Darstellung von Julias Selbstmord hört, was Morris ein ambivalentes Ende gestattete. Die einzigen öffentlichen Darbietungen von Prokofjews Ballett in den Jahren unmittelbar nach 1936 geschahen in Form zweier vom Komponisten zusammengestellter Konzertsuiten, in denen ein paar Nummern ausgewählt, in neuer Reihenfolge zusammengestellt und in manchen Fällen anders orchestriert wurden. Die kaum wahrgenommene Uraufführung fand gegen Ende des Jahres 1938 in Brünn statt. Der eigentliche Durchbruch erfolgte mit der ersten sowjetischen Aufführung, wieder daheim am Kirowtheater (Mariinskitheater), im Januar 1940. Nach dem sehr gerechtfertigten Pessimismus über die Zukunft des Balletts wurde Prokofjew überredet, mit dem Choreographen Leonid Lawrowski zusammenzuarbeiten und sogar ein paar zusätzliche Nummern zu schaffen sowie die oben genannten zu streichen. Die Proben verliefen bei weitem nicht wie am Schnürchen. Wie schon in den früheren Klagen laut geworden war, beschwerten sich die Tänzer, die Orchestrierung sei an manchen Stellen unhörbar subtil. Unter den Beschwerdeführern befand sich auch Galina Ulanowa, die ausgezeichnete erste Darstellerin der Julia. Sie überlegte es sich aber bald anders. Das Ballett Romeo und Julia wurde zwar nun sofort zu einem Klassiker, rief aber auch seine „Verbesserer“ auf den Plan. Ins Repertoire des Bolschoiensembles eingehend wurde es sofort vom Schlagzeuger umorchestriert und verblieb jahrzehntelang so in dieser Fassung. Dank solcher unanfechtbaren Klassiker wie z. B. Kenneth MacMillans Choreographie für Londons Royal Ballet und dank einer sorgfältigen Belebung der Tradition am Mariinskitheater befindet sich Romeo und Julia wieder in engagierten Händen. Ouvertüre: Drei wichtige Themen bestehen darauf, dass es sich hier um Romeo und Julia handelt und nicht um die Montagues und Capulets. Das erste seufzt über das von Shakespeare für seine Liebenden auserkorene „unglückselige Ende“, wobei sich Prokofiew hier geschickt einer Passage aus Tschaikowskis berühmtem Liebesthema bedient und sie umwandelt. Das steht im Gegensatz zur einfachen Eleganz des jungen Mädchens Julia, und eine Vorwegnahme der erwiderten Liebe schwebt verträumt über den gedämpften Streichern. Romeo: Der Vorhang öffnet sich und auf der Bühne steht Romeo, der sich an einem frühen, taufrischen Morgen in Verona in Gedanken versunken und begleitet von einem weit ausholenden Klarinettenthema nach seiner idealisierten Rosaline streckt. Nur die drei magischen Akkorde am Ende werden seine Bekanntschaft mit echter Liebe überstehen. Die Straße erwacht; Morgentanz; Der Streit; Der Kampf: Das Stadtleben erwacht zum Klang einer großtuerischen Melodie, die in den aus dem Ballett zusammengestellten Klavierstücken Prokofjews unvergesslich bearbeitet wurde. Ihrer kaschierten Umwandlung zu einem lebendigen Tanz, in der Bearbeitung hinzugefügt, folgen sechs virile Hörner auf den Fersen. Der sich ergebende Konflikt zwischen den rivalisierenden Familien Montague und Capulet ist unvermeidlich. Seine Orchestrierung ist hitziger, voller schriller Akkorde, Paukenwirbel und tiefer Streicher, die sul ponticello (nahe am Steg des Instruments) drohen. Der Ärger entlädt sich in einer rückhaltlosen Schlägerei mit davonfliegenden Violinen, die dreimal von einem Kanon schwerer Blechbläser unterbrochen werden, bis sich auch eine Alarmglocke ins Kampfgetümmel stürzt und der Herzog von Verona autoritär in Erscheinung tritt. Der Herzog gebietet Einhalt; Zwischenspiel: Sein Gebot – weiterer Unfrieden sei unter Androhung der Todestrafe verboten – wird zweimal von Streitereien auf die Probe gestellt. Der Herzog reagiert mit eiserner Hand (massive Dissonanzen, die für das sowjetische Ballett in der Mitte der 1930er Jahre gewagt waren) und dem Olivenzweig des Friedens (weiche Streicherakkorde). Ein pompöses Andante stellt eine Bühnenband vor, die sich den Blechbläsern des Orchesters zu etwas anschließt, das wie eine Parodie militärischer Macht klingt. Vorbereitungen auf den Ball: Das Bühnenbild wechselt zu Vorbereitungen auf den Ball der Capulets, und die Texturen hellen sich auf. Mehr Straßenleben trifft auf ein neues, schaukelndes Thema für Julias Amme. In der Musik ihres Schützlings hört man kurz, wie Julia versteht, dass auch ihre Amme einmal jung war. Julia als junges Mädchen: Die Verspieltheit der vierzehnjährigen Julia Capulet wird von den kapriziösen Violinläufen und unbeständigen Holzbläserharmonien dargestellt. Julias graziöses Thema erfährt eine Abwandlung vonseiner ersten Erscheinung in der Ouvertüre, und ihre Ernsthaftigkeit überrascht uns in einem unbegleiteten Flötenduett, dem sich eine zarte Träumerei anschließt. Eine kurze abschließende Passage für Violoncelli und Englischhorn lässt die kommenden Probleme erahnen. Ankunft der Gäste: Strahlend leuchtet der Ballsaal, in dem die Gäste zum schweren Takt eines protzigen, hochmütigen Menuetts mit einem gelassenen Kornetsolo in der Mitte daher schreiten. Masken: Begleitet vom Feuerwerk einer Schlagzeugbatterie marschieren drei fremd wirkende Gäste umher – Romeo, Benvolio und der sardonische Mercutio (Kornett-, Klarinetten- und Oboensolos), die ihre Indentität als Montagues geheimhalten. Romeos verträumte Akkorde lenken von den Sticheleien ab. Tanz der Ritter: Prunk und Satire räumen der Gewalt das Feld im Tanz der Ritter, der unter dem Titel „Montagues und Capulets“ aus der zweiten Orchestersuite bekannt ist. Seine weit ausholenden Arpeggios bilden einen Rahmen für die schaurige Szene, in der der Freier Paris mit der zurückhaltenden Julia tanzt. Julias Variation: Eine der zusätzlichen Nummern für Lawrowski 1939–40, übernommen aus den gestrichenen Nummern des ursprünglichen Finales. Julia schüttelt ihre Befangenheit einfach mit eleganten Variationen über ihre Themen ab. Mercutio: Der Spaßvogel in der Montaguetruppe lenkt die Aufmerksamkeit mit einem kapriziösen Zwischenspiel aus energischem Humor und grotesken Spielereien ab (ein trockenes Fagottsolo typisch für Prokofjew in sarkastischer Laune). Madrigal: Zwischen Romeo und Julia entfacht eine Liebe auf den ersten Blick, die sich von unschuldigen Anfängen zu einem großen, voll ausgeprägten Liebesthema steigert, das hier nun zum ersten Mal erklingt. Tybalt erkennt Romeo: Julias Cousin Tybalt, wütend die brutalste Geste der Ritter nachahmend, muss zurückgehalten werden, um keine Schlägerei mit dem teilnahmslosen Romeo vom Zaun zu brechen. Gavotte: Das Fest ist vorüber. Der Bühnenumbau erfolgt gewöhnlich zu einer ausgedehnten Version des dritten Satzes (viel gestraffter in seinem ursprünglichen Kontext) aus Prokofjews Meisterwerk von 1917, der Symphonie classique. Balkonszene; Romeos Variation; Romeos und Julias Liebestanz: Romeos magische Akkorde bilden jetzt das Vorspiel zu einem glühenden Nocturne. Eine Hausorgel verwandelt die Musik des Madrigals in etwas Feierliches, als Julia zurückkehrt, um nach einem verlorenen Andenken zu schauen (kein Balkon hier in der ursprünglichen Handlung) und dabei von dem im Schatten versteckten Romeo überrascht wird. Ihr Liebestanz beginnt mit amorös seufzenden Hörnern und hält kurz für eine Romeos Erregung darstellende stürmische Variation inne – womöglich ein unnötiger Zusatz, auch dem originalen Happyend von 1939–40 entnommen und damit natürlich nirgends in der Nummer aus der 1. Suite zu finden – bis die Leidenschaft in einer Reihe satt orchestrierter Melodien ungehemmt auflodert und dann wieder zu ihrem gedämpften, magischen Ausgangspunkt zurückkehrt. Volkstanz; Romeo und Mercutio; Tanz der fünf Capulets: Es wird Zeit für Prokofjew, dem Corps de Ballet eine Gelegenheit für lebhafte Straßenfestschilderungen zu geben: ein Volkstanz im Stile einer Tarantella und eine scharf akzentuierte, von einer Blechbläserparade unterbrochene Nummer; zwischen beiden ein Austausch zwischen dem liebestrunkenen Romeo und dem stichelnden Mercutio. Die Amme; Die Amme gibt Romeo Julias Brief: Die watschelnde Vermittlerin kommt mit einem Brief für Romeo, wobei sie ihr Repertoire der Geschäftigkeit lässig erweitert und uns musikalisch wissen lässt, wer der Absender ist. Romeo bei Bruder Lorenzo; Julia bei Bruder Lorenzo: Der stattliche Mönch heißt Romeo in seiner Klosterzelle willkommen, ein Porträt in würdevoll gedämpften Farben mit besonderer Menschlichkeit von den geteilten Bratschen und Violoncelli. Ein leuchtendes neues Flötenthema kündigt Julia an, die ganz in Weiß auftritt, und eine bittersüße heimlige Trauung folgt. Das Volksfest geht weiter; Ein weiterer Volkstanz: Lawrowski wollte 1939 mehr Musik für Massenszenen haben – vielleicht die einzige Schwäche der Bearbeitung. Prokofjew griff auf die völlig seriöse Technik des Ausschneidens und Einfügens von Wiederholungen zurück, womöglich die einzigen unnötigen Nummern im Ballett. Tybalt stößt auf Mercutio; Tybalt und Mercutios Kampf; Mercutio stirbt; Romeo entscheidet sich, Mercutios Tod zu rächen; Finale: Die Straßenmusik hat uns schlecht für das plötzliche Aufbrausen der für die Capulets mittlerweile bekannten Aggressivität vorbereitet, als Tybald Mercutio anstachelt. Romeo versucht mit Themen seines neu gefundenen Wohlwollens zu beschwichtigen, aber Mercutios Kampfgeist läuft auf vollen Touren. Eine gefährliche Wiederholung seines Kabinettstückchens wird von einem Schwerthieb Tybalts abgebrochen. Zuckend und mit für ihn so typischen scherzenden Erinnerung stirbt Mercutio. Die Aggressivität der Capulets überträgt sich auf Romeo Montague, und der nächste Kampf erfolgt zu einer gesteigerten Wiederholung von Nr. 6. Diesmal fällt Tybalt, begleitet von 15 massiven Orchesterschlägen. Sein Körper wird zum schweren Takt eines orchestralen Trauermarsches angehoben und schwebt in der ungeminderten Intensität des Bleckbläserkontrapunkts. Introduktion; Romeo und Julia; Romeo trennt sich von Julia: Auch wenn das Gebot des Prinzen auf dissonanten Akorden an strategischer Stelle wiederkehrt und uns warnt, dass Romeo nun die Todesstrafe erwartet, ist der Großteil des dritten Aktes mit seinen zarten Texturen kammermusikalisch gehalten. Romeo hat die Nacht in Julias Schlafgemach verbracht. Das würdevolle Flötenthema aus Bruder Lorenzos Zelle kündigt nun die Morgenlerche an, und die Liebenden stehen ihrer bittersüßen Trennung gegenüber. Horn und Klarinette teilen sich bei ihrem Bedauern über das Verfließen der Zeit in einen neuen musikalischen Gedanken. Dann erinnert sich die Viola d’amore mit zarten Tönen poetisch an die ersten Momente des Entzückens. Erneut wird es leidenschaftlich und beruhigt sich bei Romeos Abschied wieder. Die Amme; Julia weigert sich, Paris zu heiraten: Julia sieht die Neuankömmlinge im Raum wie im Nebel – die Amme, Julias Eltern, Paris mit dem Angebot der Ehe (Anklänge der Solostreicher aus dem Menuett). In Julias Protesten verbindet sich ihre bekannte Impulsivität mit einer neuen, klagenden Cellopassage und einer tragischen Version des einst leuchtenden Flötenduetts. Julias Vater besteht jedoch auf der Eheschließung, mit der für die Capulets üblichen Aggressivität. Julia allein; Zwischenspiel; In der Zelle von Bruder Lorenzo; Zwischenspiel; Erneut in Julias Kammer; Julia allein: Zur Beruhigung in ihrer Kammmer zurückgelassen kann Julia nur an Romeo denken, und eine massive motivisch-thematische Bearbeitung der „Abschiedsmusik“ kennzeichnet ihre Entscheidung, dass sie ohne ihn nicht leben kann. Sie besucht Bruder Lorenzo, der niedergeschlagen erkennt, in welch misslicher Lage sich Julia befindet. Er bietet ihr einen Trunk an, der sie in Scheintod versetzen soll. Vier ständig wiederholte aufsteigende Noten zeitigen ihre beklemmende Wirkung, und die tiefsten Orchesterinstrumente bäummen sich in einer Voraussage von Julias Tod auf. Unheil und Drohungen charakterisieren ein weiteres Zwischenspiel. Zurück in ihrer Kammer übt Julia ihre Rolle, Paris‘ Angebot anzunehmen (weitere Wiederholungen). Wenn sie allein ist, schluckt sie den Trunk. Die gleichen zwei Akkorde, die auf Mercutios Tod folgten, lassen die fatale Folge der Ereignisse erahnen, die sich bei Romeos Entdeckung von Julia abspielen wird. Morgenständchen; Tanz der Brautjungfern: Zwei Nummern – in der originalen Fassung von 1935 waren es vier – dienen der Unterhaltung, erhalten aber die intime Stimmung aufrecht. Der eine Tanz ist zurückhaltender, mit Mandolinen und einer solistischen Violine, der andere ist eine graziöse, wenn auch merkwürdig traurige Nummer für Mädchen (ursprünglich exotische Tänzerinnen von den Antillen), die der zukünftigen Braut Lilien bringen. An Julias Bett: Die Amme tritt auf, um Julia zu wecken. Trompeten führen einen Moment des Zweifels ein, und der „Tod“ wird entdeckt. Hohe Violinen spielen eine Trauerversion von Julias feierlichster und verklärtester Melodie. Julias Begräbnis; Julias Tod: In seiner erweiterten Bearbeitung berücksichtigt Prokofjews Epilog nicht Shakespeares zahlreiche Ereignisse in der Familiengruft der Capulets, sondern konzentriert sich auf das schmerzhafte Schlussspiel der Liebenden. Julias Todesmotiv, das einem zunehmend forcierten und schwer orchestrierten Trauermarsch ausgesetzt wird, führt zu Romeos Selbstmord, und ihr verklärtes Thema, bei ihrem Erwachen klagend, erhebt sich in einer abfindenden Apotheose. Dann ersticht sich Julia und stirbt in Romeos Armen. Ein einsames Englischhorn verkündet: „Denn niemals gab es ein so herbes Los / als Juliens und ihres Romeos“, dann fällt der Verhang auf dem letzten, verklärten Akkord.